The Performer walk behind scrubber is a great addition to any facility looking to maintain the cleanliness of their floors. It can easily scrub a 30,000 square foot facility on a full charge and even comes with a pad driver. With such an efficient walk behind floor scrubber, you will save the cost of the machine, on labor alone, in no time! The unique squeegee system helps you recover 100% of the solution put down onto the floor. Keep your warehouse dust down, or keep your supermarket floors clean, this machine can do it all! This industrial rated machine is designed to be as simple as possible, thus reducing the possibility of break down and will give you years of use. Stretch your dollar even further by purchasing this machine in our exciting new professional grade floor cleaning package which comes with everything you need to scrub, strip & clean hard surface floors! 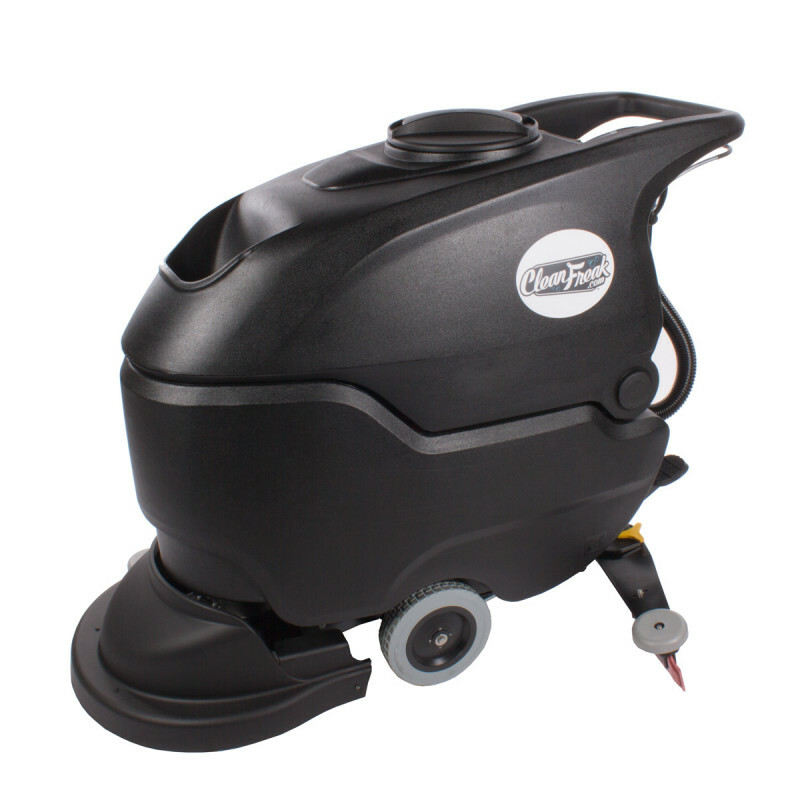 Check out the introductory video below for the Performer 20 inch walk behind floor scrubber. It's one of our best-selling private label industrial floors scrubbers and works great on just about any size of floor cleaning job. 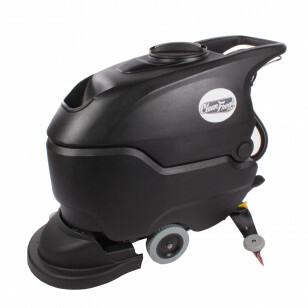 An absolute beast of an auto scrubber that comes at an unbeatable price. Purchase with or without an extended warranty plan, whichever bests fits your budget and facility needs. With a 10 gallon solution tank & 3.5 hour run time, this auto scrubber can easily scrub a 30,000 square foot facility on a full charge. Comes with batteries, external charger and a pad driver, so you'll be ready to start scrubbing as soon as the machine is delivered. We stand behind this machine & truly believe there is no machine that matches it on the market. Give us a call with any questions you may have. All automatic scrubber components and parts to be free from defects in materials and workmanship for 1 year. Parts that are defective will be sent to you and covered by CleanFreak. You will not be required to provide a credit cart at the time of the initial service call to get the repair started. Labor for repairs will be covered at the local shop rate. Travel time for repairs will be covered. 30 days. Extended plan sold separately.